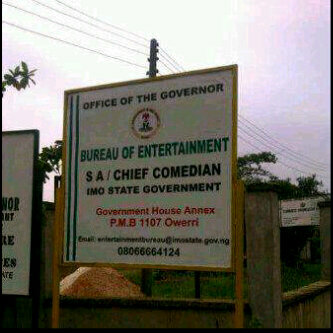 Owelle Rochas Okorocha, the Executive Governor of Imo State is a visionary. That is all. Ok, so what exactly is this country turning into? The other day it's was a complimentary card that said "Friend of the Governor", recently it was a silly board like this that said "office of the former Governor…..", We need prayers in this nation!